The long awaited time has come to take your precious angel baby home! The first week for the two of you will be exhilarating, certainly and can be unnerving. Many unexpected things come up and you may not know what to do. Advance planning can make the transition easier for both of you. Remember, I am always a phone call away. Decide who is going to be the primary caretaker. 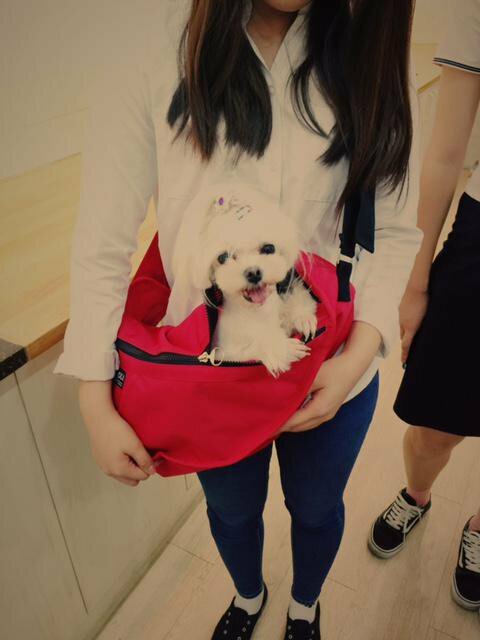 The puppy has to have consistency and must attach as quickly as possible to someone in their new home. Remember, he/she just left their Mom and breeder. Those ties are now gone. Who will the baby cling to? Also, hammer out the house rules ahead of time (will the dog be allowed on the bed? On the couch? Where will the dog sleep? Are any rooms of the house permanently off-limits?). Your new baby will feel/sense the tension in the air if things don’t go smoothly. This can affect him or her long term. Your tiny puppy will be unable to hold his body heat. It is very important that you be aware of drafts, cold wind coming in from an outside door opening, the puppy running near the door or even outside. A nice warm sweater will keep him warm and cozy until he is older and able to keep himself warm. At this age, he will need a size extra small. A harness and leash are important items to have but your baby is far too little for that at this time. When you do buy a harness be sure never to put anything around his neck!! These dogs are prone to collapsed trachea! Never pull on anything near it's neck. Your angel baby was in a pen before you took her home. You can find many nice pens on Amazon to suite your needs. 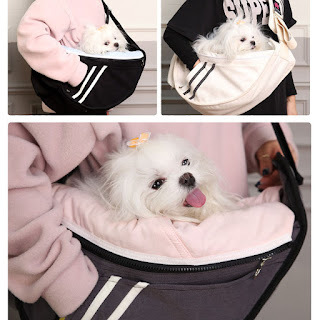 It's a must have for any puppy owner. A containment device keeps your new baby in a confined area where you can monitor and house train him. You will need a dog pen, crate (I do not recommend for daily use!!) 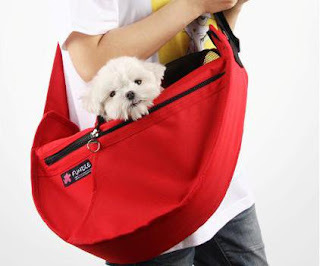 or carrier, and an exercise pen, playpen, or gate when you bring your pup home. If you get a pen that doesn't have a bottom you can measure the pen size, add an inch or 2 to each side and then go to Home Depot where they will cut a piece of white tile board to fit. To keep the pen from sliding off the board get some putty and put it on the 4 corners then push the pen onto it. I use earthquake putty but I suppose any putty will work (unless it dries out). Hard-sided pens, crates and travel carriers are made from a variety of materials, including stainless steel, plastic, and fiberglass. Though the stainless steel crates will last a lifetime, the lightweight plastic and fiberglass varieties provide a measure of safety and security for your puppy while driving or flying. 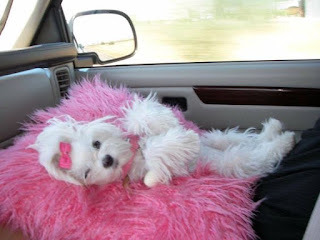 They also replicate a cozy, warm den especially when you outfit it with a soft bed or blanket. 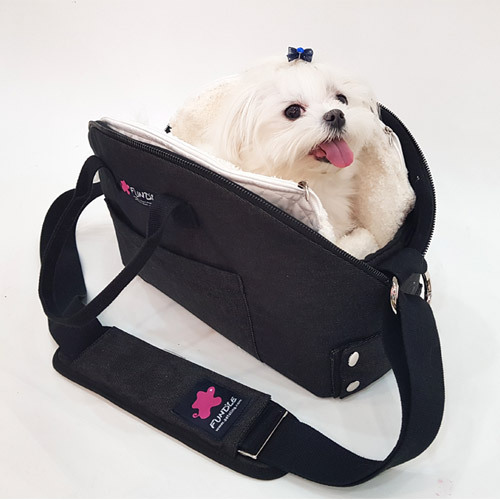 When choosing a pen, crate or carrier, make sure that your pup can stand up, lie down, turn around, and stretch inside. Though dogs prefer to have a close-in den-like space, they also need room to feel comfortable. 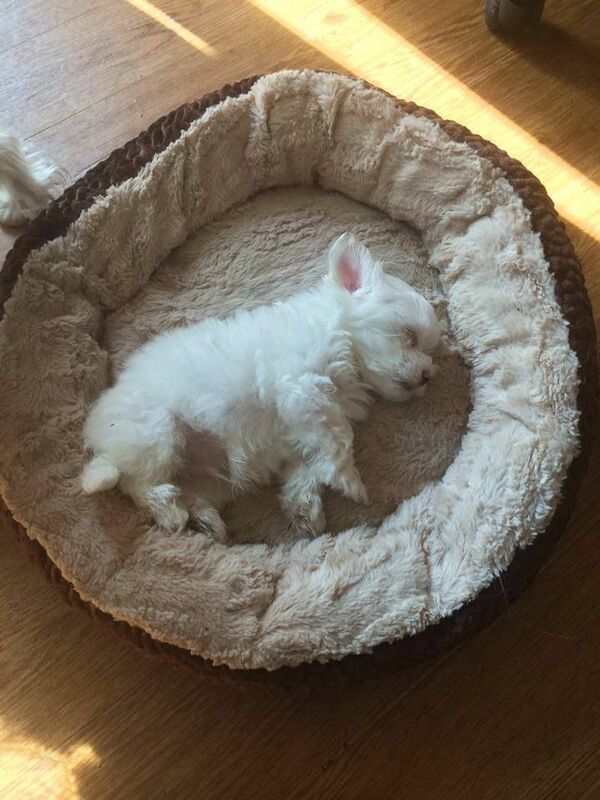 The first night your puppy comes home, she’ll need a comfy bed to lay her head. Be sure to have lots of stuffed animals for him to cuddle with. Remember, he has just left his litter mates. They played and cuddled all the time. They love to snuggle into something in order to go to sleep. 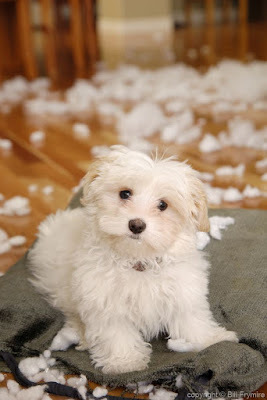 If your pup tends to chew on her bedding and ingest some of the foam or stuffing, remove it from her crate or take it away from her to prevent possible intestinal blockage. Offer her a blanket or towel to sleep on until she gets over her chewing phase. Keep chew toys handy such as pig ears that are easy for them to pull around and thin enough to chew on. At the time you take your puppy home she will be used to eating her food from a saucer. I recommend that you continue this until she is eating well at home. Your puppy may still be eating ground kibble or soaked pieces or may be eating hard pieces. I will tell you what they are eating when you come to pick her up. I will also send home a weeks supply of food at this time. Although it is common for a new puppy not to eat as usual for the first couple of days it sets up a serious problem that could arise, hypoglycemia!. Although the puppy may be eating, their energy requirements are higher as they are mourning the loss of their mother and their litter mates. They are also stressed due to a new environment. Watch them closely! 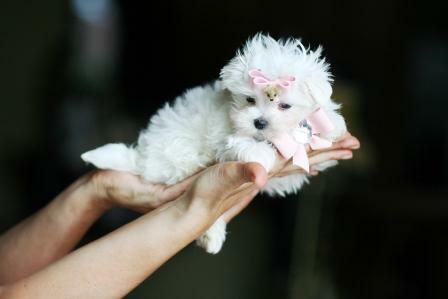 Small puppies are prone to hypoglycemia which is a drop in blood sugar that can be fatal! If you see that she is listless, loss of energy or sleeping more than usual, act fast and immediately give her some Nutrical (always keep this on hand and with you). Make sure your baby is eating to keep her energy level up. For this reason, do not leave the puppy alone for longer than 4 hours at a time. 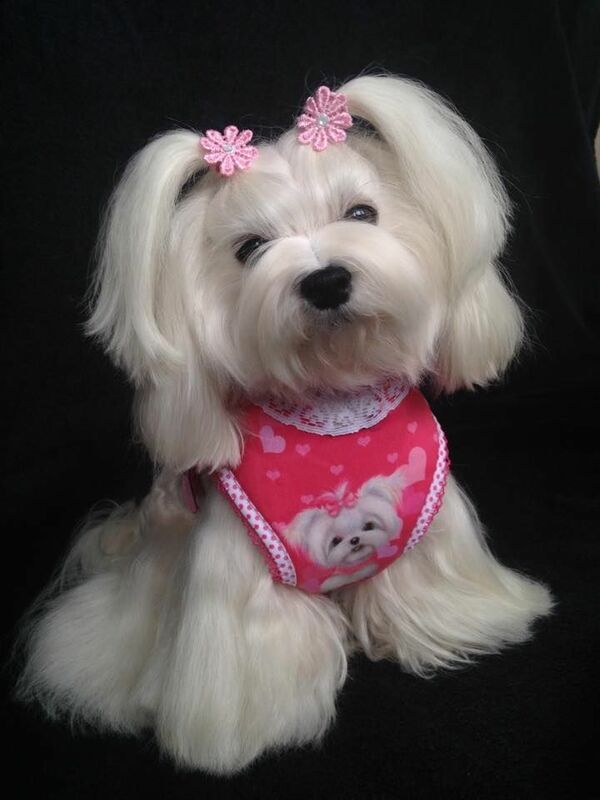 Feed your Maltese pup four times per day. Divide his daily calories by the amount of feedings you give him to determine his portions. 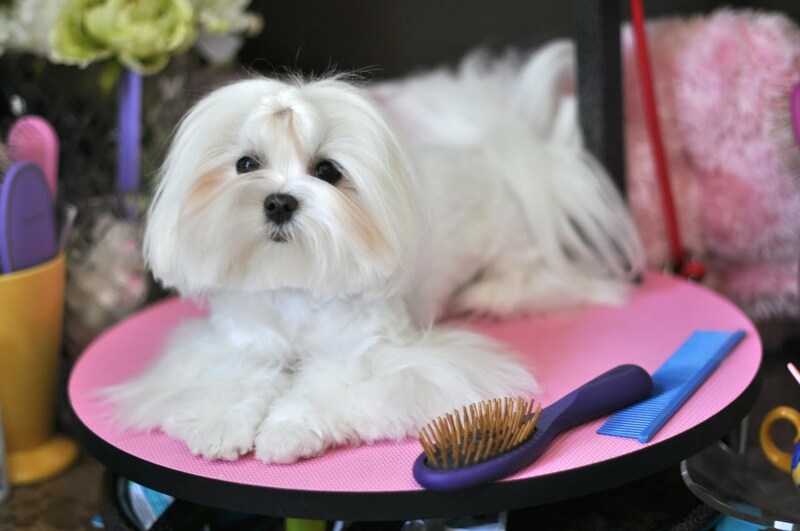 For example, a Maltese fed 400 calories per day would get 100 calories per feeding if fed four times each day. 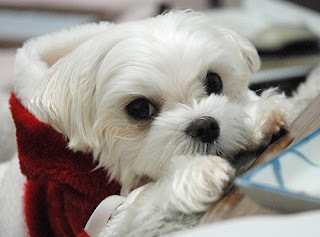 Frequent feedings are important for a Maltese because this breed tends to suffer from hypoglycemia, especially during the first three months of life. Feedings throughout the day help to maintain your pup's blood glucose level. If you notice your little one developing signs of low blood sugar, such as loss of appetite, weakness, lethargy or seizures, rub some corn syrup on his gums or give him some Nutracal on your finger from the tube to stabilize him. I keep some of this in my purse and in the car all the time. Your puppy will need food and water bowls when he comes home, and there are many varieties available. You can choose ceramic or stainless steel dishes, plastic crocks,or glass bowls. Keep them clean as bacteria thrive in their dishes. Keep plenty of fresh water in her pen at all times. Ceramic dishware and glass bowls can be heavy so they likely won’t become toys, but they can be expensive If you buy ceramic, make sure it’s dishwasher safe and lead-free. These special diets are referred to as diets that are formulated for puppies or for “growth and development.” Food makers understand that puppies have specific needs, so they incorporate those nutritional requirements the right blend of protein, carbohydrates, fat, vitamins and minerals into their special puppy blends. 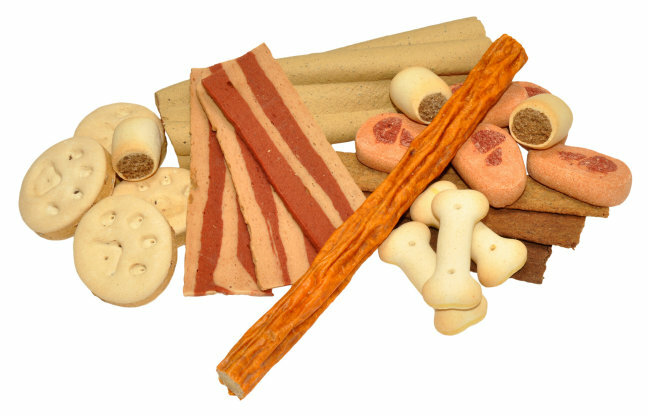 Veterinary nutritionists note that puppies must have these specific ingredients in their diets to develop into healthy adults. 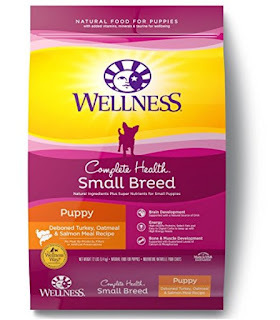 For the above reasons, I recommend Wellness Small Breed Puppy. It has natural ingredients plus super nutrients for small puppies. If you plan to eventually feed your puppy a raw diet and need information please discuss with your vet. I have no knowledge in this area. Keep the hair trimmed away from their eyes to prevent staining. Babies will drain a clear fluid sometimes due to teething. That will stop once teething has ceased. Check with your vet if you are having any problems in this area. 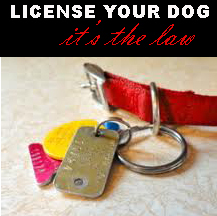 Your puppy will require some identification. While there are two options identification (ID) tags and microchips it is a good idea to use them both. These are usually given at around 4 to 6 months of age. Check with your vet. I highly recommend that you get big stuffed animal for your angel baby to cuddle with. I have many of them here that they are used to. It helps them with the transition away from their Mom. Others have told me how comforting it was and still is for their little one. Toys can be categorized into chew toys that satisfy the need to gnaw (I highly recommend pig ears for teething), like hard-rubber toys; plush toys, like stuffed animals, that provide comfort to dogs; fetching toys, like balls and flying discs; rope and tug toys, which help to floss teeth while the pup plays; and critical thinking toys, like treat-dispensing devices, that release goodies when the pup performs a certain task. Purchase these products before your puppy comes home and set them up in advance mostly because you’ll be too busy playing with him! With these items in hand, you’ll be well-prepared to welcome your puppy to his new forever home. This requires a little more work if you’re getting a puppy, since they can be champion chewers and have a knack for getting into things they shouldn’t. But no matter what your dog’s size, you’ll want to do some organizing ahead of time. Create a temporary, gated-off living space for your baby, where she can’t damage your belongings or eat something that will make her sick. She’ll stay in this area whenever you’re not with her to prevent her from having house training accidents. What’s in your dog’s area will vary a bit depending on her size and how you’re house training. Puppy-proof to make sure anything that could hurt your dog–medicines, chemicals, certain plants are out of reach. Ideally, you can take a few days to a week off work to get your new dog or puppy settled in and to continue house training. 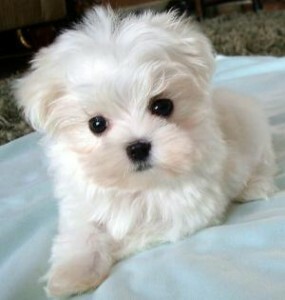 Your puppy will be trained to go potty on pee pee pads by the time you pick him/her up from the breeder. Be sure to have some pee pee pads on hand. Half of their bed should be a sleeping/play area while the other half should be a pee pee pad for going potty. Find a helper to come along when you go to pick up your dog. Young puppies who’ve never been on a car ride before may get rattled and frightened. You don’t want a bad experience to be the first experience they have with you! A terror-filled car ride can turn into a long-lasting phobia of car travel. Ask someone to hold the baby on the ride home, soothing him. Your baby will be about 2 lbs. Such a tiny one needs to be in your arms, safe and warm! 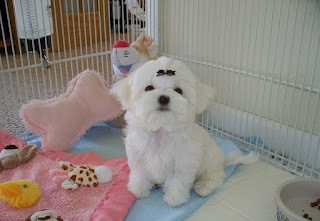 I highly discourage putting a tiny puppy in a crate while traveling. This could be emotionally damaging to the puppy who has had much love and attention up to this point. It seems impersonal, cold and distant for the puppy from it's new owner who he will now totally depend on. This is my opinion and I am not comfortable with this option for any of my angel babies. Keep it pleasant but low-key at first. All animals need to have their own space. His/her pen is theirs where they can be and sleep without fear. Introduce her to her new space by using toys or treats and lots of love. They will soon go to it on their own. 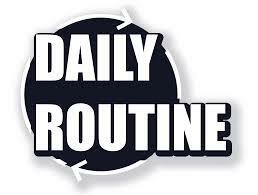 A routine helps with house training and is reassuring to your dog. Figure out a schedule for meals, bathroom breaks, and exercise, and try to stick to it. Your puppy went potty after she ate at the breeders. That’s a good place to start. It’s especially important for a puppy’s first vet visit to be a pleasant experience so that your angel baby learns to take trips to the vet in stride. Ask around for referrals, and schedule your first appointment a few days after you bring her home. Get her established with your vet for future vaccinations, worming and any other concerns or vet recommendations. Bottom line: Your dog’s first few weeks home will likely be a period of huge adjustment, for both of you. You can make the transition much easier all around if you prepare your home in advance and set up a routine right away. Most of all, enjoy your new baby! Think of all the fun and exciting adventures you'll have together. All of this info is extremely helpful. 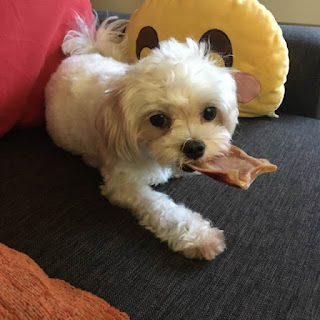 All I need to do now is go get my baby a pig ear! Thank you for providing me all I need to know about my baby. Wow, what great information Sally, Thanks! Wonderful things we need to know and great ideas on how to make the first few weeks comfortable for the new baby! You are a wealth of knowledge and I love the recommendations. My husband and I were just talking about where we will put the crate in our apartment. I can't wait for an addition to our family! Wonderful information Sally. We are so excited to start preparing our home for our new puppy to be comfortable and safe in. You have been so helpful in sharing these blogs. License, microchip, yes been through that. Coming home from picking up baby, yes I'll need something like you suggested. Have to read all these blogs again and again. Appreciate your expertise. Thank You!!! Such helpful information! We sat down as a family to talk about where the puppy would sleep, where the pen would go, where to put baby gates to keep her safe. And made a shopping list! We had so much fun dreaming together about a new furry family member! Thanks for making such a great list of items we would need to help us make the transition easier for our angel baby and us! All the information in this blog was so helpful. 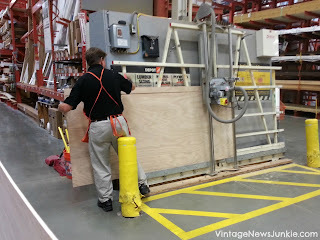 I have a much better understanding of what we will be needing to get plus I can always come back to this page to review all the items I will need to prepare for the new arrival. It's so wonderful that we have all these helpful information so we can be extra prepared. Sally, again, great advice on preparing ahead of time for the new arrival. My husband and I are so excited. We have been planning, and arranging for a new arrival. It's such an exciting time. We have a playpen, dog carrier plus a purse carrier, clothes, new grooming supplies, and tons of toys and stuff animals. We need to get a crate yet, plus there is a stuff animal I want to order that has a beating heart. The food information is so important. Because I have never had a Maltese before I have been reading a lot of books on raising Maltese and they do all mention the importance of watching for hyperglycemia. 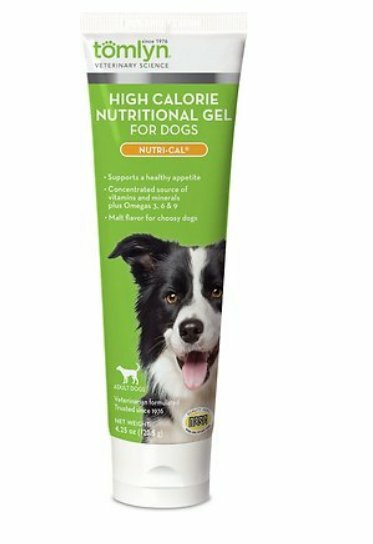 I love how you post and show pictures of the food and supplements you give the puppies, so helpful. If my husband and I are fortunate enough to be chosen to be parents of one of your little Angels I will definately be the main care giver since I am home 24/7. So we are prepared! oh my lord when i got our first Maltese baby it was an offer that came to us and we were so unprepared we only had 1 hour notice. We were at the store picking up everything and not knowing anything...well we just bought everything. I am so glad we will be much more prepared this time..we like to think of our journey the first 4 months with our first one as an adventure and cannot wait to use our knowledge we have now with the second one. Wow! Great information. Your perspective is very helpful. I think anyone who reads your blog is more cognizant of what the new puppy is going through transitioning to a forever home. I am so ready to set up a cozy bed and play area. You have done a lot of research. I like the Nutracal to have on hand. Also the Wellness small breed food. I hope the microchip procedure does not hurt the puppies. I do feed prepared as I have had several puppies all taken home at 8 weeks. We have puppy bowls and toys, stuffed animals, and especially a white stuffed animal to help the puppy adjust to their new life. Thank you for all the information. I was looking for a list of grooming supplies and knew you had to have it somewhere on the blog! I also appreciate you mentioning microchipping: it seems to be a big controversy, not just ethically, but for health as well, so reading what your stance is helps a lot…especially for these little pups that are so highly desired. Is there a specific company that you recommend?—I’ve heard that some tales of a RFID reader not being able to pick up a microchip because it couldn’t sense the chip? Just passing this along too, for brand-new puppy parents like me: most of the vets I interviewed offer a bundled puppy package, which includes exams, vaccinations, well puppy check up, with or without microchipping etc, all for a quite reasonable price, so make sure to ask about that if you’re looking for a vet. 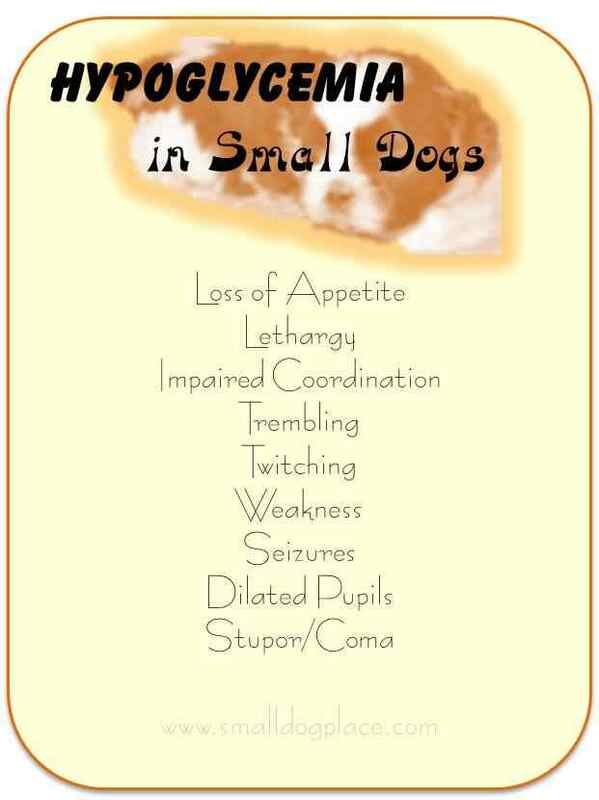 I also had no idea about hypoglycemia in the Maltese breed, Nutrical will be something I make sure to pick up as well as brushing up on symptoms! I was looking for a list of grooming supplies and knew you had to have it somewhere on the blog! I also appreciate you mentioning microchipping: it seems to be a big controversy, not just ethically, but for health as well, so reading what your stance is helps a lot…especially for these little pups that are so highly desired. Is there a specific company that you recommend?—I’ve heard that some tales of a RFID reader not being able to pick up a microchip because it couldn’t sense the chip? Just passing this along too for new puppy-parents like myself: most of the vets I interviewed offer a bundled puppy package, which includes exams, vaccinations, well puppy check up, with or without microchipping etc, all for a quite reasonable price, so make sure to ask about that if you’re looking for a vet. 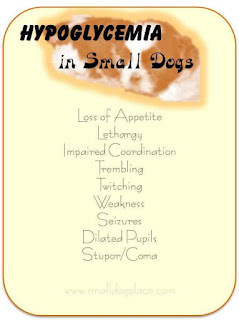 I also had no idea about hypoglycemia in the Maltese breed, Nutrical will be something I make sure to pick up as well as brushing up on symptoms! Lots of great information! I really appreciate all of the time you put into helping make the transition for the puppies and new parents the best experience it can be by providing so much useful information. It all looks like great advice! I plan on following this closely to ease the puppies stress in the transition. Thank you! Hi Sally, I have always used more enclosed crates for my puppy training - I thought that they liked the "den" feeling - do you recommend the open ones for all times of day? Of course, my little one will be with me in the office so I think the open one for there is best and I will get one! Sally, it is so refreshing that you take all of the time you do to help "new parents" make the right choices for their babies. 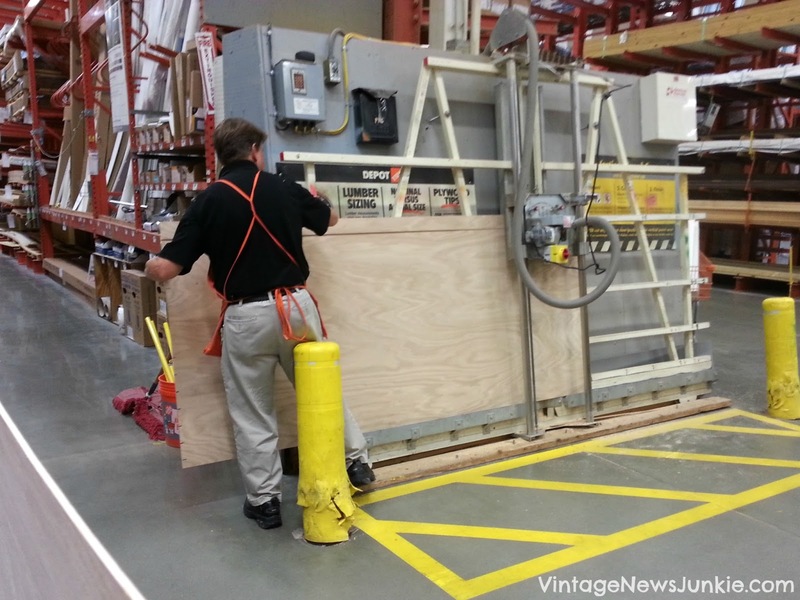 Even those of us that have experience get to learn new things! i am glad you encourage microchipping. I have always done it since it became available. Of course, I have not had to find a baby that way but I HAVE taken strays to the vet and had them scanned to see if we could reunite them with their family. Sadly, many times they are not chipped. What wonderful, helpful and necessary suggestions for our new puppy! It is so helpful to have a check off list to make sure we aren't forgetting anything. Thank you Sally for taking the time to make sure Angel Parents are prepared. The information makes it less intimidating in bringing home such a special little puppy! We can't wait! I've read this post. Lots of good info. We are mostly prepped, still need to do a few dog-proofing things like raise some wires permanently off the floor. Thanks!